The coming of the digital has changed the way people interact with other people and businesses. The buying behavior of millennials resulted to businesses looking for options other than traditional marketing and now, digital marketing is considered the modern way to promote an enterprise. If you are not an SEO or digital marketing expert, you can easily be lost on the things that make up a great digital marketing strategy. From putting up your own website, to creating a social media following, to conducting online marketing – these things are often learned through personal experiences, something that many experts would rather keep to themselves because of the fear that someone else might profit from their knowledge. Getting certified could somewhat give the newbie digital marketers some edge, but the digital world is ever changing – what’s useful now could easily be rendered useless when search engines like Google make an update. These observations created a strong desire in us – the dream to have a blog that will readily be accessible by anyone who wants to learn digital marketing without any bias on the background that they come from. Budding entrepreneurs, newbie marketers, online marketing experts, students – this website is built for everyone (that includes you) who wants to keep up with the latest trends on the world of digital marketing. We believe that people should have a reliable go-to resource where they are free to learn about digital marketing. This portal should provide interaction, which could allow them to come up with better strategies because more heads thinking together, most often than not, are better than one. We understand that you only want resources that you will be able to use in the real world. That is why we’ve created a writing team consisting of experts. In here, you will find the likes of seasoned online writers, marketers, SEO experts, website developers, and mobile developers providing some practical tips that other experts are not ready to share. 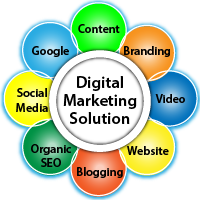 We are here to educate the general public on the best practices that comprise a great digital marketing strategy. We promise to provide written resources to those who wish to build their own career with digital marketing as their core function. We also know that there are some people out there who are on the process of putting up their own businesses and can’t afford to spend extra on online marketing. This blog can help people learn and apply the basics until such a time that they can afford to hire the services of a professional. You can also use this resource to help you gauge if there is a need for your business to invest in digital marketing. We are here to provide truthful knowledge to the best of our ability, because we are genuine about our interest to help people learn or get educated about digital marketing. Just as our team is on the quest to better ourselves at what we do, we know that there are also others like us who want to do the same. With this blog that we’ve created, we hope that we will be able to provide value to our readers and we also welcome any comments because we too want to learn something new from you.